Senator John McCain had a slick way of saying that Donald Trump isn’t as great a leader as he wants folks to believe he is. 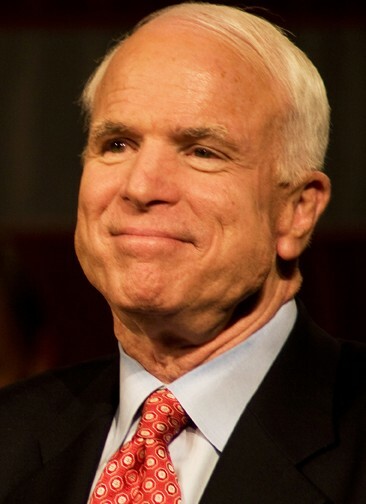 During an interview with KTAR Radio, McCain took a jab at Trump for his feisty response to the Washington Post report that North Korea has nuclear warheads that can reach the United States. Here, McCain is saying that great leaders are not all mouth and when they say they’re going to light you up then they’re light you up. Trump, on the other hand, not so much. McCain believes he is all mouth because Trump, unlike the great leaders, is not “ready to act” on his threats of military action.